Where Should Resources Go to Fight the Auto Burglary Epidemic? 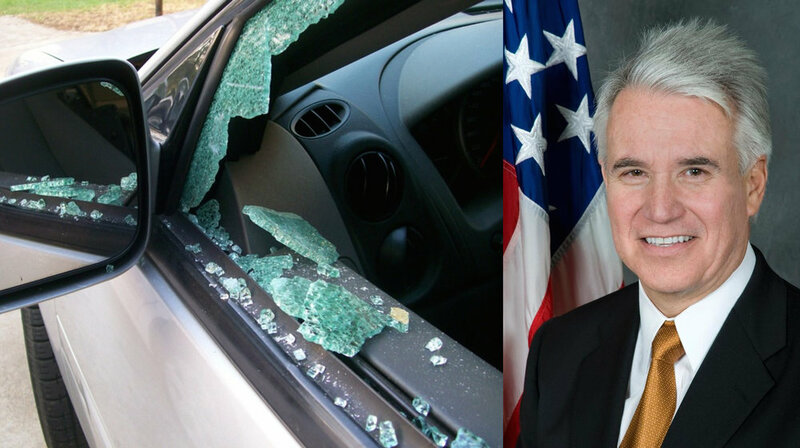 San Francisco District Attorney George Gascon is asking for an additional $1 million to fight an epidemic of car break-ins. Would this be money well spent? If you had an extra $1 million to fight the auto burglary epidemic raging through San Francisco, where would you spend it? Would you give it to the police department to add investigative resources to make more arrests, or would you give it to the District Attorney’s Office to fund more prosecutions? Recently, San Francisco District Attorney Gascon announced a $1 million request to the Board of Supervisors to fund a “task force” of prosecutors, investigators and analysts within the DA’s existing Crime Strategies Unit (CSU) to address the problem. Gascon claimed the appropriation would result in a 20 percent reduction in auto burglaries within a year’s time. Gascon’s CSU has been in existence since 2014 as a “multi-disciplinary team of Neighborhood Prosecutors, analysts and investigators that uses a data-driven approach to resourcefully address chronic crime. Neighborhood Prosecutors work shoulder to shoulder with our law enforcement partners, neighborhood stakeholders, and the community to develop long lasting solutions to the City’s major crime issues,” according to the District Attorney website. The rise in auto burglaries has been a serious issue for a significant period of time. In June 2016, the civil grand jury issued a report with recommendations numerous recommendations to battle the rising numbers of auto burglaries. While incidents resulting in arrest and prosecution make up a small percentage of the outcomes, the vast majority of the work needs to be done by patrol officers and investigators to make arrests. Adding additional funding to this unit would centralize the policing effort, which is consistent with recommendations of the civil grand jury. While auto burglaries were on the rise in 2014 to 2017, Gascon was not able to make a dent in the problem even though the unit he wants to fund was already in existence. It is unclear how a $1 million appropriation to Gascon's CSU would make a 20 percent reduction in auto burglaries when CSU has not made a difference in auto burglary incidents at all in the last three to four years. If the Board of Supervisors allocates additional crime-fighting dollars to the growing problem of auto burglaries, it should go to the police department, who have boots on the ground and its own data crunching analysts. Any other appropriation would simply be wasted dollars.